In 2017 there will be several major changes to the CPA exam. The AICPA released an exposure draft titled “Maintaining the Relevance of the Uniform CPA Examination”, with the purpose of tailoring the CPA exam to the market demands of a “higher-order” skillset that CPA candidates need to demonstrate. 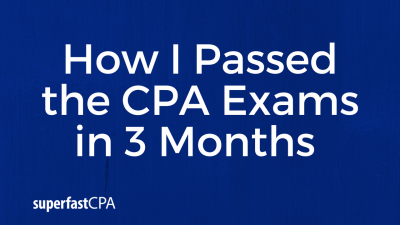 After reading through the exposure draft and seeing the upcoming changes, it’s safe to say that the CPA exam will likely get even harder. The biggest change is that there will be the added element of “analysis” to the 4 sections. Currently the exam assesses 1) remembering and understanding- which is tested through the MCQs- , and 2) application – which is tested on the task-based simulations. On the 2017 exam, there will be a shift to test “higher order” skills such as “analysis” and “evaluation”. So each of the 4 sections are currently 50% remembering & understanding, and 50% application. For AUD, there will be 30-40% remembering & understanding, 30-40% application, 15-25% analysis, and 5-15% evaluation. For BEC, 50-60% will be application, 15-25% will be remembering & understanding, and 20-30% will be analysis. For FAR, 50-60% will be application, 10-20% will be remembering & understanding, and 25-35% will be analysis. For REG, 35-45% will be application, 25-35% will be remembering & understanding, and 25-35% will be analysis. These changes will take place by having roughly 10-15 fewer MCQs per exam, and 2-3 more simulations per exam. The simulations previously only tested “application” but the new simulations will assess application, analysis, and evaluation. So on the 2017 CPA exam, FAR, REG, and AUD will contain 8-9 task-based simulations. BEC will now have 4-5 task-based simulations in addition to 3 written communication modules. The 2017 exam will introduce a brand new type of simulation called a “Document Review Simulation” (DRS), which presents a realistic document you might see in practice as well as source documents, and there will be highlighted words, sentences, or phrases which the candidate will then evaluate and select appropriate edits based on the source documents. 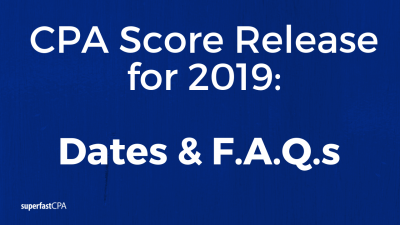 The simulations on the 2017 exam will also include more background material and require more evaluation by the candidate to determine what information is or is not relevant to the question, which better reflects real-world practice. Another big change is that BEC and REG will go from a 3 hour time limit to a 4 hour time limit, to allow for the increase in simulations and higher skill level being assessed. So, each section will now have a 4 hour time limit. Due to the increased time limit, it is estimated that the exam cost of BEC and REG will each increase by $20. Another change is that instead of the current “spreadsheet” tool that’s used during simulations (which we can all agree doesn’t work very well), the new exam will feature Microsoft Excel- but this addition probably won’t happen until 2018. So, that is a summary of the main changes to the upcoming 2017 exams. It’s good motivation to pass before then, or at the very least give you an idea of what’s to come. 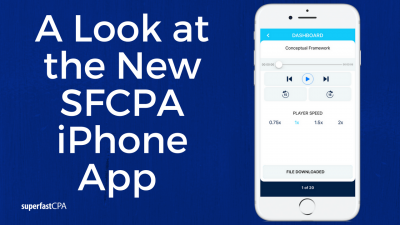 These changes will make the CPA exam even more difficult then it is now. Want to Pass Faster and on the First Try? If you haven’t been on one of my free trainings, click here to register (it’s free). In this training I’ll give you my best CPA shortcuts for studying, so that you can pass as fast as possible.